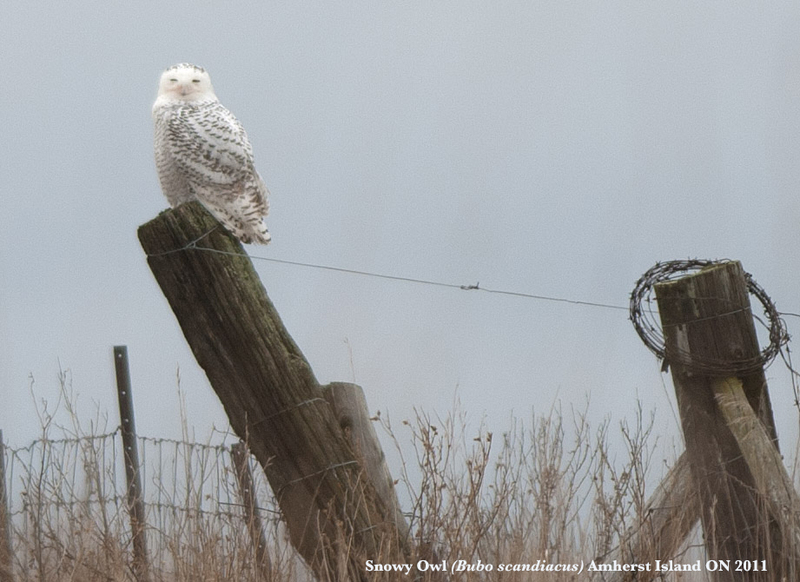 Reader Tom Carrolan found snowy owls (Bubo scandiacus)! Some of his pictures of eagles will appear next week. 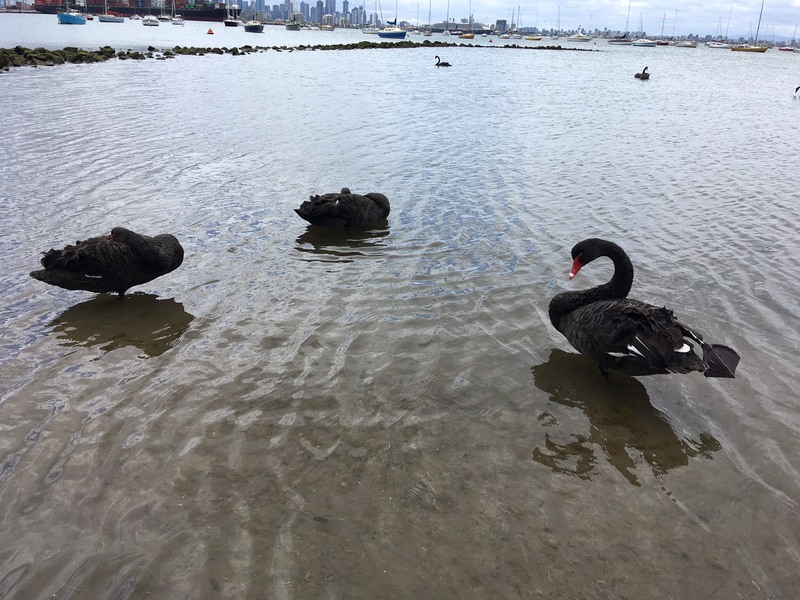 I am not sure if the black swans in Oz (Cygnus atratus) use “counter-current heat exchange” in their feet. 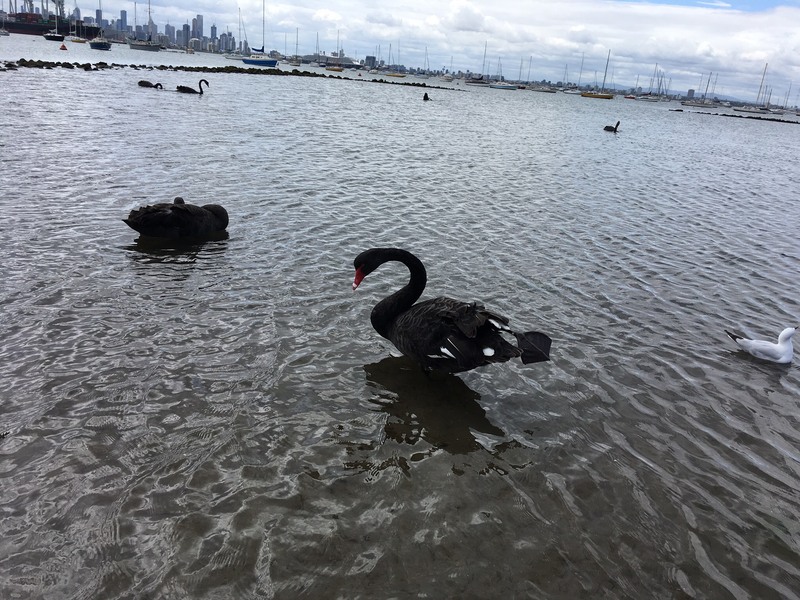 But, recently I was over in Victoria and at one of its small port towns, Williamstown, on Port Phillip Bay (almost 35 times the size of the more famous Sydney Harbour). A bit of history, the Confederate raider ship, CSS Shenandoah, docked in Williamstown for repairs on January 25, 1865. This entry was written by whyevolutionistrue and posted on December 13, 2018 at 7:30 am and filed under birds, photography. Bookmark the permalink. Follow any comments here with the RSS feed for this post. Both comments and trackbacks are currently closed. The “tail” is actually a foot. Nice photos. That a confederate ship was all the way down there in 1865 is something. Might just as well stayed as the war would be over before the ship made it back. Legs in green circles. The right leg is parked like an oar. Wow I completely missed that one! So what does this do for counter current exchange? Is it hopping back and forth? How cold is it? I’ll re-read…. It was a diet day when I sent in the photos of the swans and I messed up the selection. The first should have been one where the swan’s leg was suspended, but hidden from view. The second was with the suspended leg pushed out backwards to show me that it was not in the water after I called over. Coincidence? Shurely not! The water temp in the bay at that time of year is about 10°C (50°F), but maybe colder in that shallow part. Thanks to the forensic skills of Michael the legs are now more obvious. Ah, I totally missed that! I don’t know about counter-current heat exchange in this species, but this does disprove my hypothesis that all swans are white. I like your theory! All the ones we see here in South Australia are black. This bemuses our Japanese visitors since the Japanese word for swan is haku cho (white bird). I have even seen swans in South America that are white except for black necks and heads! Maybe more photoshop? 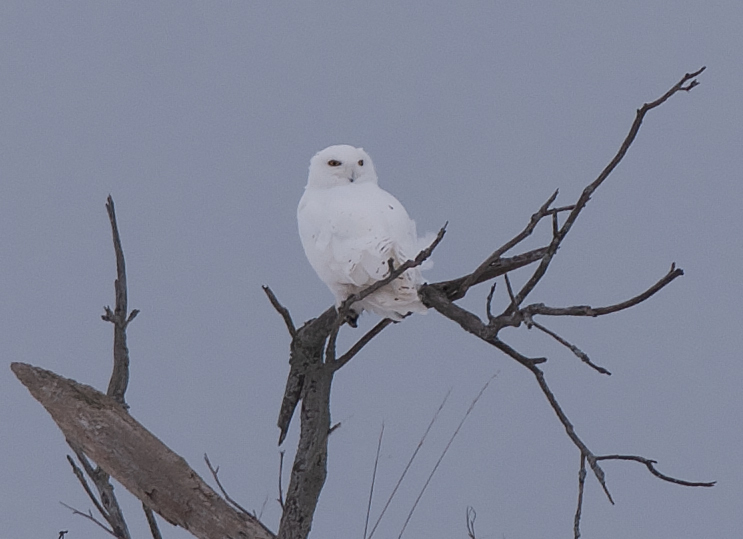 As Jerry brought it up at the top, the first Snowy Owl image is a young male, then we have the adult male. 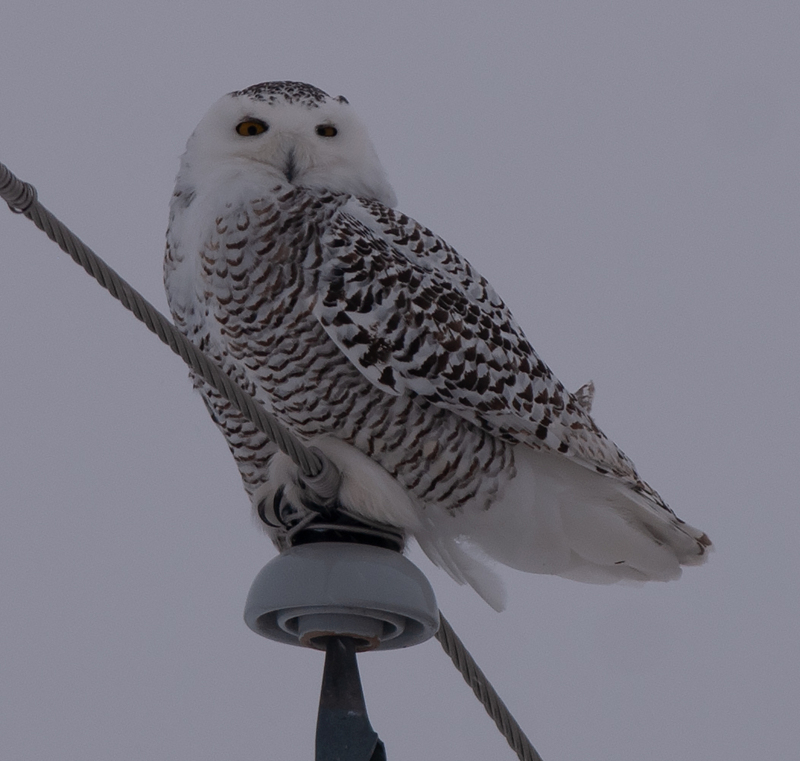 I remember hearing that the snowy owl’s population is increasing dramatically of late. Anyone know about that? Owls look cute. To non-rodents at least.